The Gardens Jewish Experience has partnered with this revolutionary organization and is offering a 25% discount for anyone using discount code GJE13. 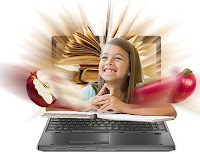 ToTally Online is an online Hebrew School that is interactive, engaging, meaningful, and entertaining. It is open to everyone, regardless of denomination or background. You participate from home. And you don't need much to get started: just a computer and a broadband internet connection. ToTally Online is inspired instructors, experts, and incredible content. It is videos, music, and animation. It is an online classroom: learning is live and interactive. The other students are real people. The instructors are real people, too. You ask questions in real time. You win prizes, bonuses, rewards, perks, and incentives. ToTally Online is interesting, relevant, and engaging. And it is fun, too. Your child will be proud to be Jewish. And your child will enjoy being Jewish. If your child is pre his or her Bar/Bat Mitzvah, sign up for our Bar/ Bat Mitzvah program. It is a 20-week interactive and in-depth program. Go here to read more about it. Sign up with discount code GJE13 today.